Luz Ortega's mental health has deteriorated rapidly in the last year so her daughter Ada needed to sign a verification form for her. However, the local authorities won't recognize verification until legal guardian status is earned in court. Who is going to pay the rent? I read this story in the New York Dail News. It should serve as an eye opener and wake up call to all caregivers in the Alzheimer's and Dementia community. Do you have all your paper work in place? Have you been putting off executing all the necessary legal and health documents you might need soon, or down the road? Are you really willing to suffer the pain and consequences that could come if you fail to execute the correct documentation in advance? Are you in a state of denial? Take a good hard look at this woman's face. 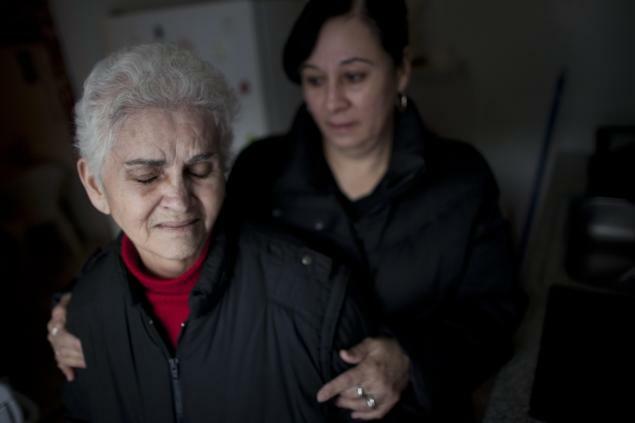 A 74-year-old Brooklyn woman suffering from Alzheimer’s disease and unable to sign paperwork has been threatened with the termination of a rent subsidy by heartless bureaucrats at the city Housing Authority In New York.